Women at menopause age may have special heart disease risks, a new study finds. 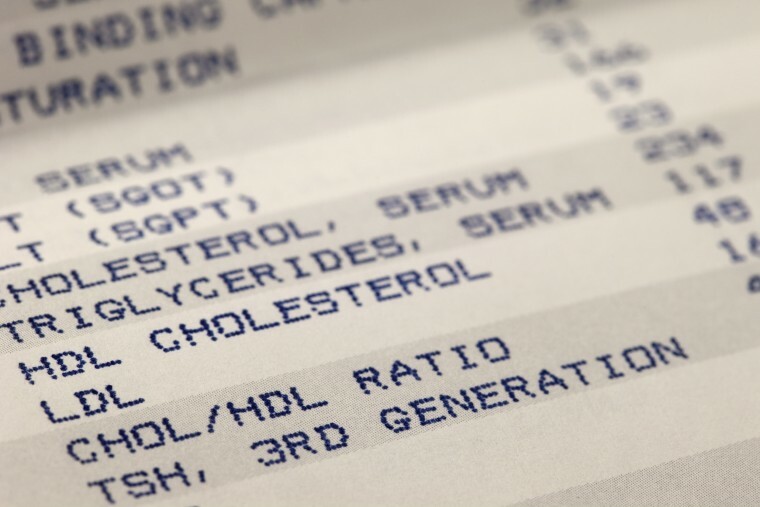 So-called good cholesterol might not always be a good thing. A new study finds that at least among middle-aged women, a high HDL reading may not protect them from heart disease. Cholesterol readings that people get in the doctor’s office are generally divided into three types: low-density lipoprotein, or LDL, the "bad" cholesterol; triglycerides, the fewer the better; and high-density lipoprotein, or HDL. HDL is generally called “good” cholesterol because higher levels usually mean a lower risk of heart disease. But not for middle-aged women, Dr. Samar el Khoudary at the University of Pittsburgh Graduate School of Public Health and her colleagues report in a study published Thursday in the journal Arteriosclerosis, Thrombosis, and Vascular Biology. Especially around the time of menopause, they found, a high overall HDL level may be masking a higher risk of heart disease. “The most important message here is that measuring the total cholesterol might not be enough in postmenopausal women,” El Khoudary told NBC News. And they found out why. It’s the type of HDL that seems to be important, they reported. HDL and LDL are both particles in the blood that carry around fats. In broad terms, LDL helps deposit these fats into the walls of blood vessels, causing plaque and blockages to build up, while HDL carries it away. Do doctors treat women differently? El Khoudary’s team studied more than 1,100 women over the age of 45 who are taking part in a bigger study of health. They’d previously found that HDL did not seem to protect women from heart disease after menopause. The Khoudary study broke it down, and researchers found that the size of the HDL particles was what mattered. “When a woman was close to menopause, the larger particles were associated with a greater risk of atherosclerosis,” El Khoudary said. Women who had more of the smaller HDL particles had a lower risk of developing the early signs of heart disease, as measured by a thickening of the artery walls. “Our findings imply the measure of total cholesterol may not be enough. We need to look more carefully at these particles,” she said. Dr. Nieca Goldberg, a cardiologist and medical director of the Tisch Center for Women’s Health at New York University’s Langone medical center, said it’s an important finding for women and for their doctors. “It’s very timely because oftentimes I get patients who come into the office who say, ‘My cholesterol is high but my doctor says I have a really high HDL so I don’t need to take cholesterol medicine,’ ” Goldberg told NBC News. Standard cholesterol tests don’t look at particle size, but Goldberg said that probably does not matter for most women. “People on the borderline or people who have a family history of early heart disease — those people might need specialized cholesterol testing,” Goldberg said. For the rest, the advice probably remains the same. Statin treatment lowers LDL, or bad cholesterol, and so do a healthier diet and the right amount of exercise. “The good news is that if people exercise, they can improve their cholesterol levels,” said Goldberg, who was not involved in the study. A Mediterranean-style diet, rich in vegetables and low in sugar, other processed carbs and animal fat, can also help. Many studies have shown that women and their doctors both underestimate their risk of heart disease, which is the No. 1 killer of both men and women in the U.S. The study shows that around the time of menopause, women need to pay special attention to their heart health. But that doesn’t mean that they are doomed, Goldberg said. “I don’t want people to think that all of a sudden, when it comes to menopause, you have a whole lot of health problems, because menopause is a natural part of the life cycle,” she said. Both Goldberg and El Khoudary said doctors need to pay attention, and more research needs to be done that specifically focuses on women and heart disease risk.